Rocky is one of the most successful and sought-after auctioneers in Sydney with an exceptional track record for generating strong sale prices. Conducting his first auction in 2002 at the age of 22, Rocky has worked in the industry since 1997 where he gained experience auctioneering for one of the top office’s in the Northern Districts. In 2003, Rocky (with Rob Trovato) launched Auction Services and has since conducted thousands of auctions both on site and in-rooms for all the major real estate franchises and boutique offices across Sydney. 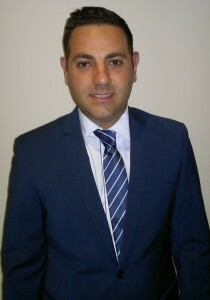 He is also an industry trainer and his company offers CPD training as well as auction coaching for agents and offices. Highly respected by his peers, Rocky is able to read and relax a crowd – an integral skill to ensure strong bidding. His sound judgment, powerful communication skills and ability to quickly build rapport with bidders ensures every part of the auction process reaches its optimum potential. In addition to auctioneering, Rocky spent six years working for Fairfax Media leading the real estate team (Domain) as NSW Sales Director & National Online Manager. 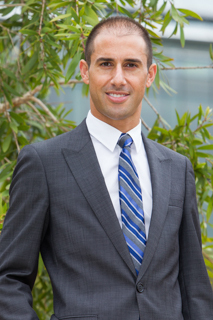 He departed late 2013 to focus on growing Auction Services; and in early 2014 he was appointed National Sales Director for the new real estate portal, Homely.com.au. Click here to read Rocky’s full profile. With over 23 year’s sales and auction experience, Rob is a recognised real estate industry leader. Finalist at the Real Estate Business Awards in 2018, 2017, 2016 & 2015 for ‘Auctioneer Of The Year’. He began his career as a salesperson for one of Australia’s leading real estate franchises, where he coached his team to serial record breaking sales months and established a reputation for outstanding leadership. His agent expertise led to buyer advocacy and auctioneering. He discovered in addition to possessing a particular flair for calling an auction, he absolutely loved it – and Auction Services was born. Rob possesses everything you could possibly want in an auctioneer and more. His powerful presence, clear communication and utmost professionalism combine perfectly with his incredible sales knowledge and customer service skills to create an unrivalled auction experience. Click here to read Rob’s full profile. With a formidable career built as a sales agent Michael Poulos has encountered every situation needed to excel in obtaining a great result. Skills, dedication, determination and enthusiasm are among some of the many words of description that have been given in testimonials to defend his passion for the industry. Having worked for some of the most reputable companies in the business we believe this gives him a competitive edge over the rest. Through Michael’s balance of being a Sales Agent & Auctioneer, knowing and understanding the task at hand between the emotions of vendors, buyers and agents he uses this connections to achieve the greatest possible result for all parties. Click here to read Michael’s full profile. Charlie Daher is an award-winning auctioneer with over 14 years’ experience, so you know your auction is in safe hands when you work with him. Charlie loves interacting with an audience and real estate is an enduring passion for him. He initially honed his professional auctioneering skills as part of the Ray White team, where he was recognised multiple times for achieving excellent sales records. His energetic auctioneering style was recognised when he won the REI novice auctioneer competition for the Nepean region and competed in the NSW auctioneer finals. Charlie now focuses solely on creating a dynamic auction experience for Auction Services’ clients. Click here to read Charlie’s full profile. 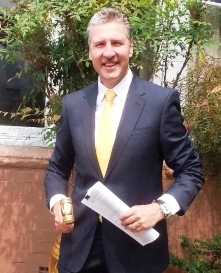 Robert Klaric, CEO & founder of “The Property Expert” is a fully qualified Auctioneer and prestige real estate agent with over 25 year experience in the Sydney property industry. His auctioneering is powerful, engaging and connects with his buyers, bidders and the public effortlessly in a manner that is very comfortable for everyone attending. 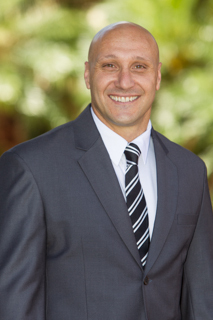 The extremely successful career has seen Robert Klaric awarded finalist in NSW REI for excellence in Auctioneering in 2004, and winner of the award for excellence in sales and marketing in 2001 and 2008. Plus having been involved in over 1000 auctions to date, his ability and experience to handle all situations at an auction is a another big advantage Robert & Auction Services offer. Click here to read Robert’s full profile.